Bribery and corruption is a way of life in many countries. It is how business is done. Sadly, there are areas of the United States where corruption still thrives. It also illegal. One of the biggest weapons against foreign bribery is the FCPA, the Foreign Corrupt Practices Act. The FCPA makes it illegal for companies to bribe foreign officials to gain business, avoid taxes or avoid enforcement. The law prohibits false books and records. According to the SEC’s Director of Enforcement, “International bribery has many nefarious impacts, including sapping investor confidence in the legitimacy of a company’s performance, undermining the accuracy of a company’s books and records and the fairness of the competitive marketplace.” The FCPA is the SEC’s primary tool in cases involving foreign bribery or “cooked” books. In recent years, the SEC (Securities and Exchange Commission) has focused its FCPA efforts on the financial services industry. That focus is now turning to the pharmaceutical industry. The SEC has declared the pharma industry as high risk for FCPA violations. We agree. The government says there are three common types of FCPA violations involving pharma. They are “Pay to Prescribe,” bribes to get drugs on approved lists and bribes disguised as charitable contributions. We add a fourth to that list, bribes to get drug inspectors to look the other way on safety and cGMP violations. (“cGMP” is short for current good manufacturing practices.) Let’s look at each. Pay to Prescribe Pharma Violations – Think Pfizer China, Croatia and ? The FCPA covers bribes or incentives paid to public officials. Pay to Prescribe, then, involves pharmaceutical companies paying public health physicians or hospitals to use certain drugs or devices. For “Pay to Prescribe” misconduct, one need not look beyond Pfizer. In 2012, the SEC claimed that drug giant Pfizer and its subsidiaries were illegally paying doctors in a number of countries. The SEC says Pfizer China invited “high-prescribing” government doctor to vacation-like retreats that included extensive recreational and entertainment activities designed to reward doctors’ prescriptions of Pfizer products. The company also set up a “point program” that allowed government doctors to accumulate points based on the number of Pfizer prescriptions they wrote. The points were redeemable for gifts. In Croatia, Pfizer employees created a similar scheme for Croatian doctors employed by government health care institutions. Pfizer kept track of individual prescription sales. A percentage of those sales would be kicked back to the doctor in the form of cash, travel or free products. The second form of illegal bribery involves paying bribes to get a company’s pharmaceuticals approved for sale. Most countries have a rigorous process for getting drugs approved for sale. In the United States, that process is handled by the FDA. Most foreign countries have a similar process and it isn’t unusual for countries to rely on another country’s testing and monitoring. That makes sense, worldwide everyone wants pharmaceutical products that have proven to be safe and effective. In some countries, big pharma attempts to short circuit that process and pay bribes to have its products approved for sale. In 2012, the SEC charged Eli Lilly with violating the FCPA after accusing the company of paying $39,000 to a small foundation in Poland. That foundation happened to be owned by the head of a regional Polish health authority. That same official added Eli Lilly’s drugs to a list of drugs approved for government reimbursement. Eli Lilly’s $39,000 “donation” turned into a $29 million fine. The Eli Lilly case also brings up the third type of common FCPA violation. Disguising bribes as charitable contributions. 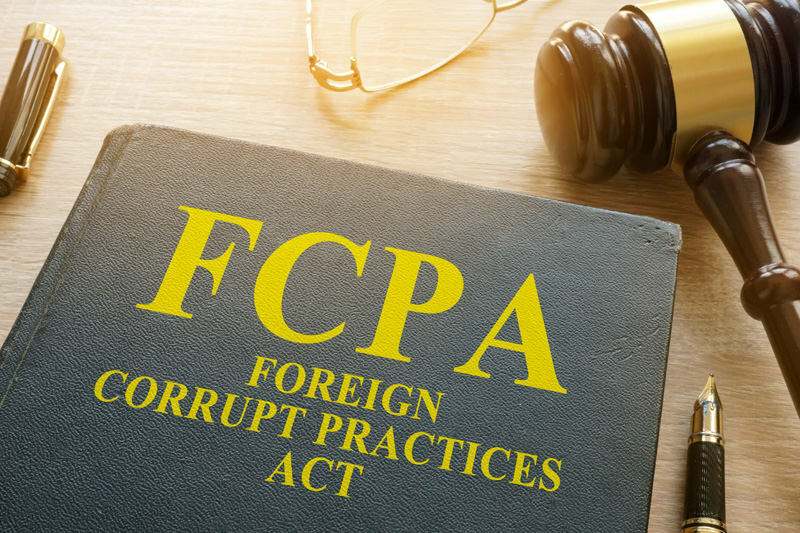 The FCPA declares that any incentive paid to a foreign official in the hopes of inducing some type of government action or inaction is illegal. Medical technology company Stryker was caught “donating” $200,000 to a Greek University to help fund a lab. That lab happened to be the pet project of a public hospital physician that then steered business to Stryker. In 2013, Stryker paid $13.2 million to settle FCPA charges brought by the SEC. Most of the SEC cases to date involve bribes or donations hoping to induce some sort of government action. Common schemes involve bribes to get drugs approved, added to formulary lists or stimulate purchases. Bribes can also be used to induce government inaction, however. In many countries, pharmaceuticals are often understrength, adulterated and sometimes contain no active pharmaceutical ingredient (API). Sometimes those bad products make it to the market in countries like the United States where testing is more rigorous. Companies that pay bribes hoping to have cGMP violations overlooked or to be warned of impending surprise inspections are also FCPA violations. We are also seeing companies that attempt to end run the FCPA by having third party companies such as distribution agents pay bribes. No discussion of foreign bribery, cGMP violations and other pharma misconduct would be complete without addressing the role of whistleblowers and the government’s ability to pay large cash awards. The United States government has two major whistleblower award programs that pay millions of dollars to big pharma whistleblowers. The SEC has a whistleblower law that pays up to 30% of whatever the government collects from wrongdoers in FCPA foreign bribery cases. At least one pharma FCPA case brought in $55 million making the potential for awards huge. To qualify for an award, one must have inside information about the bribery scheme. The government must also be entitled to recover at least $1 million. In FCPA cases, that is rarely a problem. If actual contaminated, adulterated or under / over potent drugs make it to the United States, a second award may be available under the federal False Claims Act. Like the SEC Whistleblower Program, this program can also pay up to 30% of whatever the government collects. Whistleblowers are heroes. They help keep us safe, ensure the drugs in our medicine cabinet are pure, level the playing field and help keep drug prices in check. They also restore integrity to an industry rocked recently by scandal. If you have inside information about fraud or bribes within the pharmaceutical industry, you may be entitled to a large cash award. There is no requirement that one must be a U.S. resident or citizen to collect an award. The Pharmaceutical Integrity Coalition empowers whistleblowers to come forward and encourages countries worldwide to adopt strong whistleblower anti-retaliation provisions. We can help you find the best lawyer for your case and help you decide whether or not you should report. Unlike some whistleblower groups, we never charge a fee for our services. Our mission is simple, restoring integrity and cleaning up an industry that we love. For more information, contact P.I.C. Chair Kevin McNeil at [hidden email] or by telephone +01-202-780-9957. All inquiries confidential.